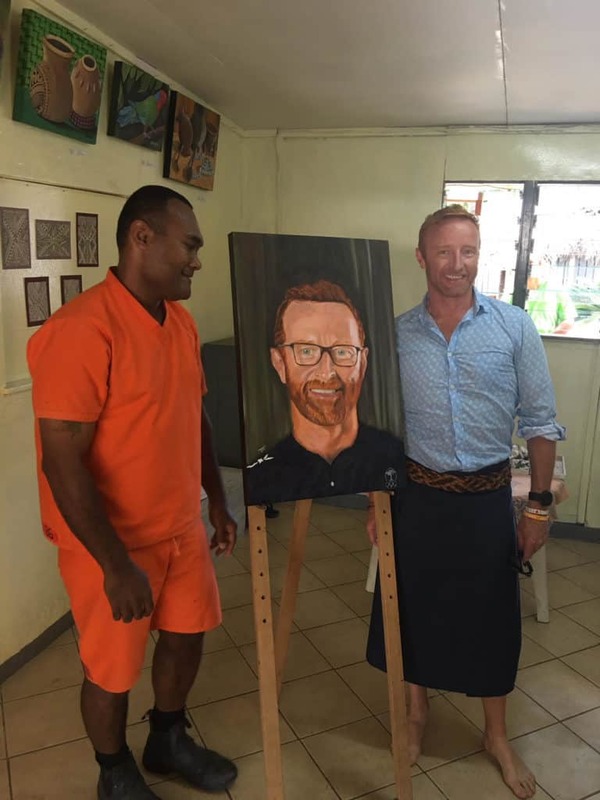 In 2013 Ben Ryan took the gamble of a lifetime when making the bold decision to take the job of Fiji’s rugby sevens team coach. On arrival, he found there were little or no resources to do the job with only the most basic of equipment. But what he did have was the most talented pool of players on the planet, players that through his unique forward thinking on the pitch and nurturing off it, he transformed into world beaters. 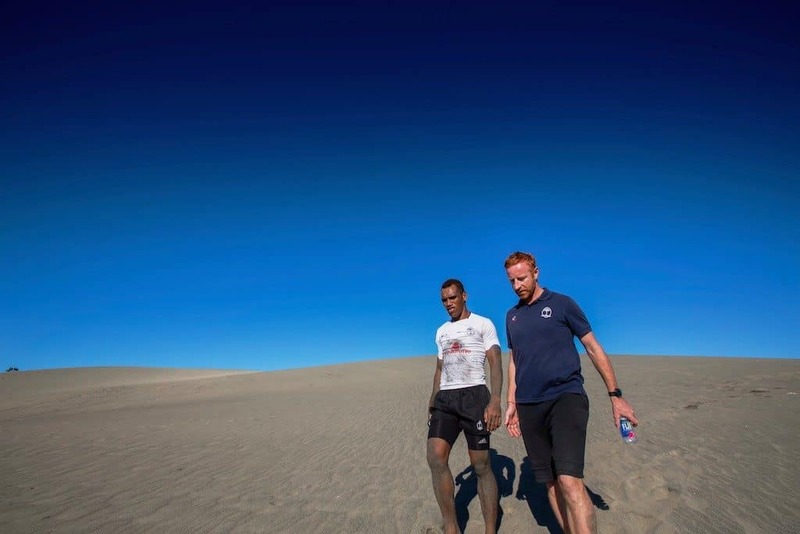 Winning Olympic gold at Rio 2016, his success with the team has made Ben Ryan a legend in that country, becoming the first non-Fijian to be made chief. 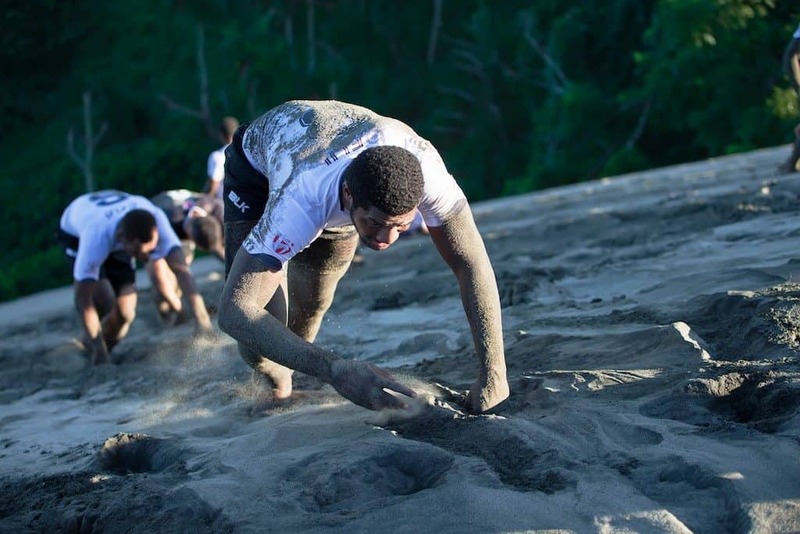 We spoke to Ben recently about his incredible journey detailed in the fantastic book, Sevens Heaven, The Beautiful Chaos of Fiji’s Olympic Dream, that led to him becoming a sporting icon in the island nation. The MALESTROM: So how did the Fiji role come about? Ben Ryan: So I speak about it in the book, in my last year coaching England I’d kind of fallen out of love with the game, I’d had some disagreements with my bosses and left to look for work elsewhere. I applied for the job of Fiji coach after a friend texted to say he’d seen it advertised on Twitter and it went from there really. The interview was by Skype, it was meant to be at 2 am here in London, but it ended up being 4 am, I waited for two hours for them to call me. They asked me if I knew the Queen, if I’d met Jonny Wilkinson, we didn’t talk salary or contract length or anything around that, it was just a brief conversation and when I woke up the following morning I just checked on the internet to find out a bit more information about Fiji and went on The Fiji Times website and then the CEO that interviewed me immediately got sacked after my interview, so I thought that was that. Two weeks later I was in a restaurant in Richmond and I got a phone call from the acting chief executive saying they were hosting a press conference in twenty minutes to announce I was the next head coach of Fiji (laughs) and that was that really. I put the phone down and I had pretty much fifteen minutes to make my decision and I knew I needed to do something. I knew that I needed to hit the reset button and to take a risk and it was the best decision I ever made. TM: So it was just that real urge for change that led you to do this? Ben Ryan: Yes, it was completely that. I hadn’t become a very good version of myself. I had lost the love of the game, lost what I was doing and that trickles into the rest of the compartments of your life, I knew I had to make a change and it was a big one, but ultimately it did all of the things I hoped it would do. TM: So you’ve landed over in Fiji, what were the immediate challenges you faced? In the book, you talk about a lack of kit, water, and even rugby balls. BR: That stuff’s not too bad really, the lack of resources, they were evidenced straight away, the fact was that the rugby union had gone bankrupt and World rugby had stopped any funding, so I knew the small things like water, rugby balls and kit weren’t going to be there, but they’re not actually that important. 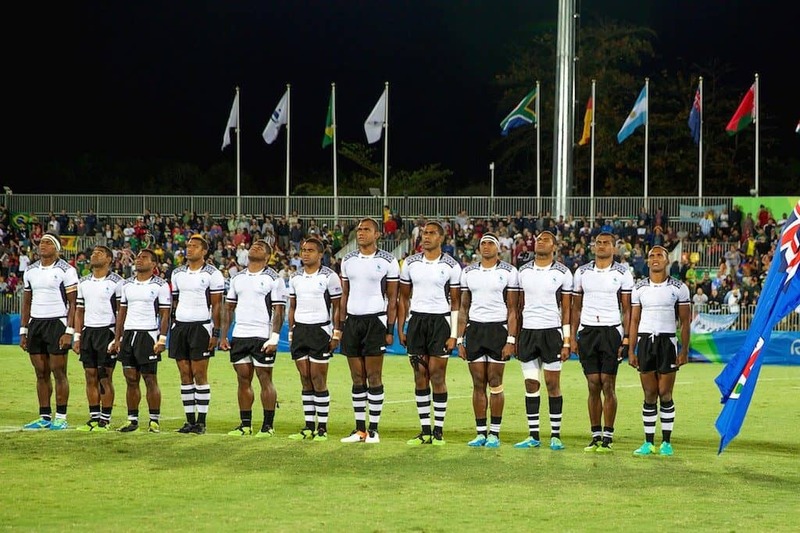 It was just understanding the culture, with England, I’d be fighting for budgets or there would be arguing about different staffing, with Fiji we didn’t have any of that because there was no budget. It’s quite easy to do a budget when you’ve only got zero dollars, you’ve just got to start from nothing. Rather than it being a negative I kind of looked at it like, you’ve got a blank page here, albeit there isn’t even a pencil to write anything on it at the moment, it’s a blank page and what we did have was very talented players on the island, so it was a case of finding them and getting them all aligned and working as a team. TM: What were the most obvious cultural differences? What really stood out? BR: One thing was the communication, although they’re English speakers, it was more the fact that I was seen as this English guy coming in and the players would just nod and say yes to everything and I wasn’t getting any information because they just thought I was the chief, I was the one in charge, so whatever I said was correct. “look, you guys are probably the best rugby players on the planet, I’m trying to get the best version of you on the field so you need to improve in certain areas to pull it all together”. 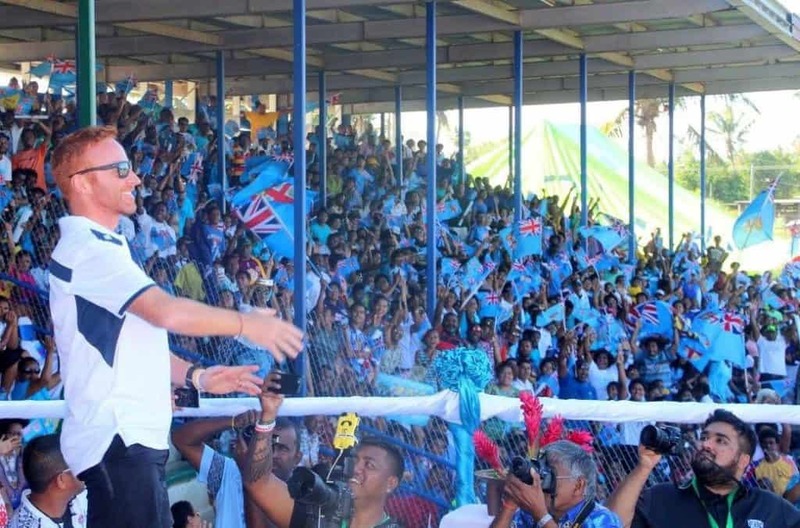 So I had to build trust and responsibility, that was the biggest thing really, and not just with the players, but with the government, because my boss was a dictator, the Fiji rugby union and also, more importantly, the team are treasured by the people, so I had to make sure that the people were on my side as well. TM: How did you earn that trust? Was it working day to day to build those relationships? BR: I’d say it was probably two or three things. One thing was just a fluke, when it emerged I wasn’t getting any pay for five months, that got leaked to the press and I didn’t want that to come out. I was trying to attract sponsors and if they knew the coach wasn’t getting paid they weren’t going to do anything. But what it did do was it made them realise I was there for more than just a pay-cheque. 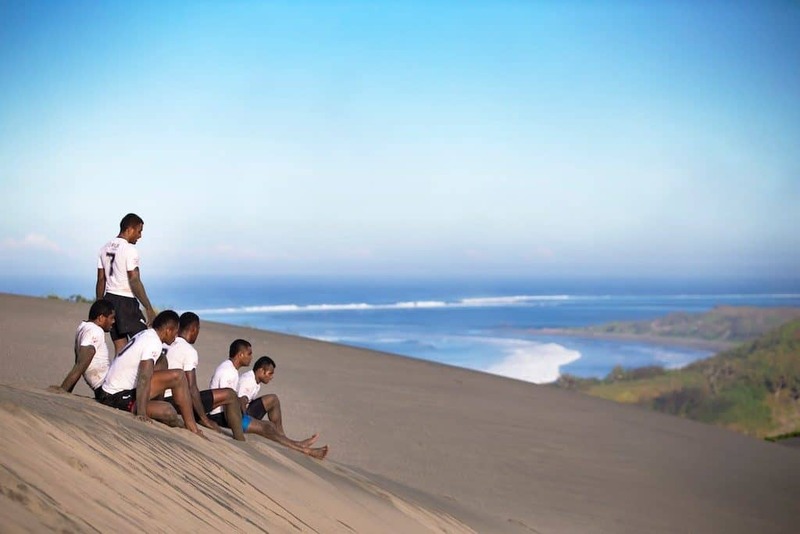 And then I made the decision to go out to all the various places around Fiji, as many as I could around the island, to meet people, to go to the sports tournaments and visit villages and just to get a greater understanding of the culture. And people saw me doing that, they saw me trying to understand their culture and not trying to force mine on them, that all helped. The other thing was the first proper tournament in charge, we beat New Zealand by 44 points, which is still their biggest defeat in any form of rugby sevens at any level and that gave me time because the people could see I was on the right track. So those three things all contributed to having the country on my side. TM: In terms of the equipment, was there freedom from not being forced to use all the tech and monitoring that comes with the modern game? BR: Yeah, I think so. With England the team that I had, they had good players, not amazing players, so to get every ounce of ability out of them you’d do everything possible to eke out that percentage. I was the first coach in international rugby, possibly international sport to put GPS units on players in live games and that was the right thing for England. 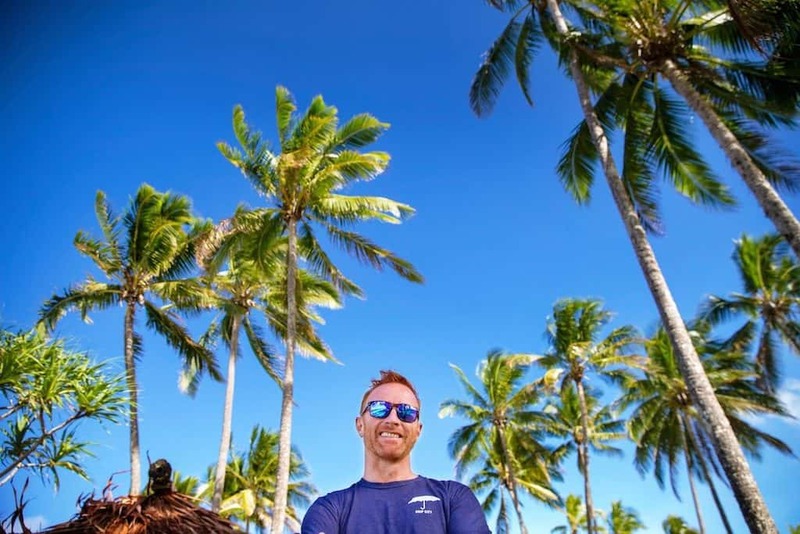 But when I came to Fiji I wanted to work on a simple framework, I wouldn’t have brought that stuff in any way, even if we’d had the money because it was about building a foundation and having a simple framework so everyone understands what’s going on. If I had loads of coaches from overseas, loads of different kit and we analysed every moment of games I’d have lost them and we wouldn’t have got that competitiveness we needed. TM: How important was getting rid of the distraction of phones and everything that comes with them like social media? but actually that’s not it, someone just wants their mate to come into camp and take photos with the team and you have to filter all that because some stuff culturally was brilliant, the informal stuff like the singing and the togetherness, you keep all that but lose the distractions. It’s not as modern as the UK in Fiji, but things like phones and social media are creeping in and I wanted to take all of that way because I saw how it got in the way of England. BR: A hundred per cent. It’s another reason why I wanted to leave the UK, I’d got sucked into all of that. I was more worried about the Sky box filling up and what restaurant to go to. 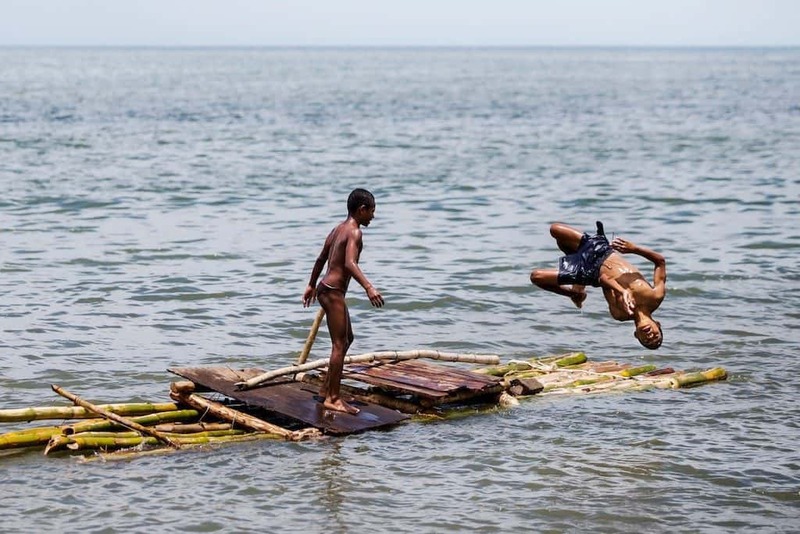 In Fiji, everyone’s so happy but they have got very, very little. Some villages won’t have electricity, they’ll have a generator, they won’t know if there’s any food in the fridge because there’s no fridge. They live day by day, It’s a negative sometimes in Fijian culture, there’s a saying that means ‘there’s no tomorrow,’ so they’ll enjoy today because that’s where they are, they’re in the present, it means they don’t do enough planning, they don’t tuck away pensions and build up savings. But, they do enjoy themselves and they’re grateful for the day that we’re in and we do lose that a lot in our culture where we’re always worrying about the future and banging on about the past instead of enjoying what’s there. So we can definitely learn a lot, that’s where their happiness comes from, they just embrace the moment they’re in. That’s why they play like they do, the offloads and the ridiculously risky passes, they’re in the moment, they’re not worried about where that pass will go their just worried about doing what’s the right thing at the time. TM: Were there any frustrating moments, with them being on their own time schedule and things like that. Did you ever find it hard that it was so different from what you were used to? BR: Yeah at the start when we were just setting boundaries, players would turn up late, not turn up at all, not call me, or I’d get a message through an uncle. 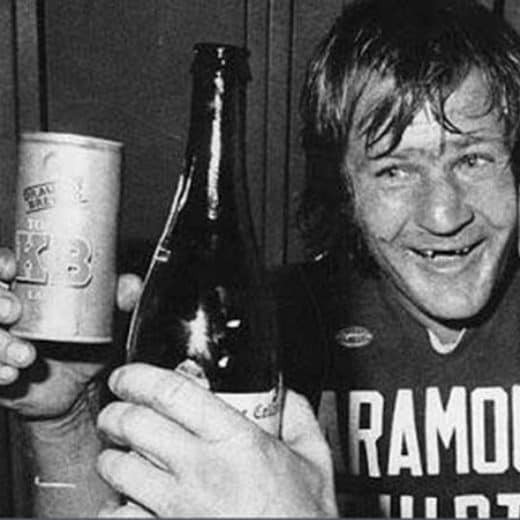 We had one player who turned up drunk once because he got taken out by an agent to try and sign him somewhere so they plied him full of alcohol. All the villages often have hotels on their land and they get a tithe from them, the village every year gets paid a certain amount of money per person and they’ll go into party mode for the next two weeks and spend it all and the player in that village who’s in the team goes missing. There’s stuff like that all the time. Then also you’d have the chairman or the army or police trying to force players into my squad and you have to stand firm on that and pick on form, not on politics. 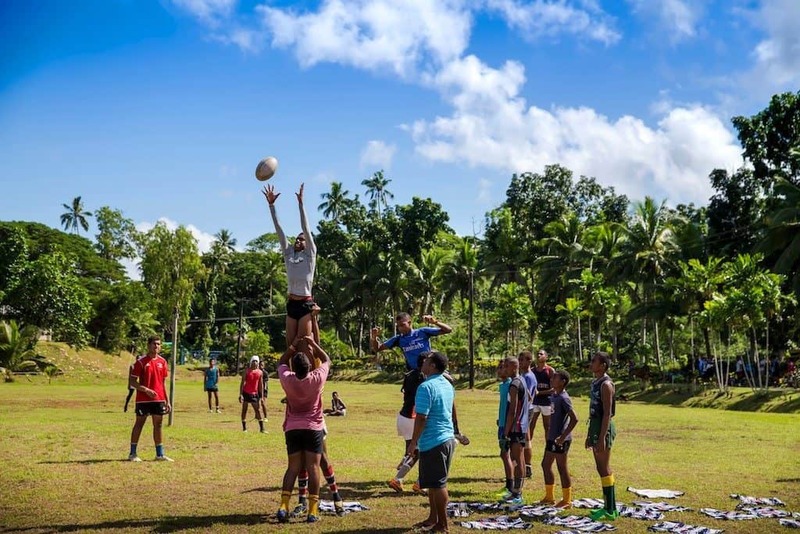 BR: Yeah, because I think it’s about that trust, they knew I was there trying to bring out the best version of themselves and give them the chance to play for Fiji and potentially improve their lives and for those of their family and village. So that trust is really important to me. The other thing in Fiji culture, it’s not the done thing to criticise someone else in public, so it meant they weren’t getting any feedback, they weren’t getting told. They lost that enthusiasm on the pitch because they didn’t know what to do. So it was constant little informal conversations, going and seeing their family, understanding where they came from and building that trust so they felt safe with me and they felt like they had a real purpose. 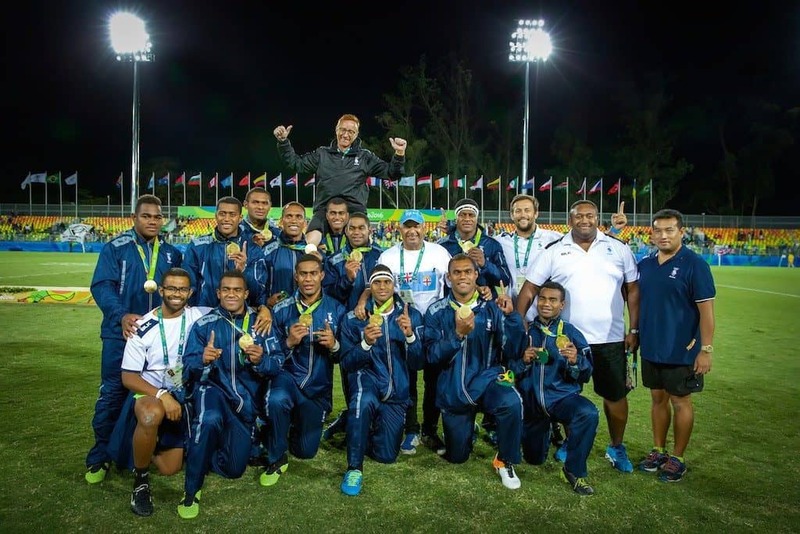 TM: Why are the players from Fiji so fit and strong? Is it just genetics or is it also diet? BR: I think there are probably four things. Yes, there’s definitely genetics involved. Also, they all come from poor backgrounds, so they’re resilient and tough. 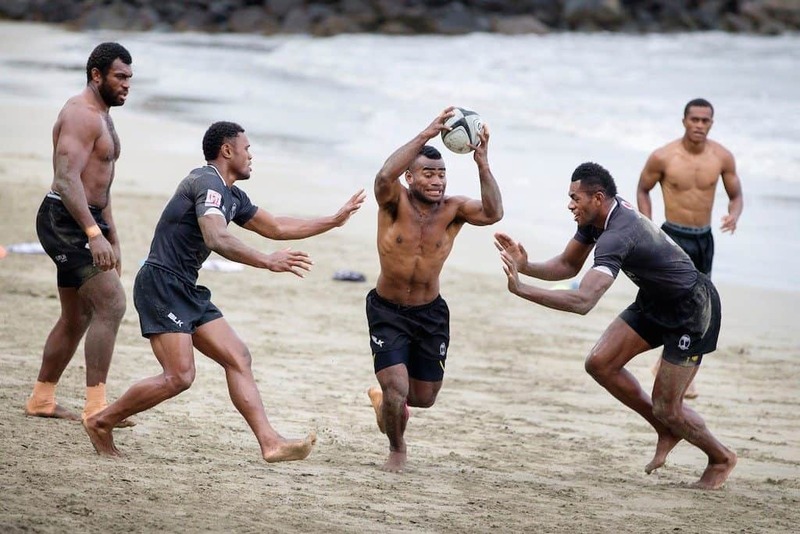 Thirdly it’s their national sport so all the best athletes in the country and that might only be a million population, but everybody wants to play rugby sevens for Fiji. So you have the best talent pool of what’s on the island, because of that they’re playing the game from a very young age with no resources. 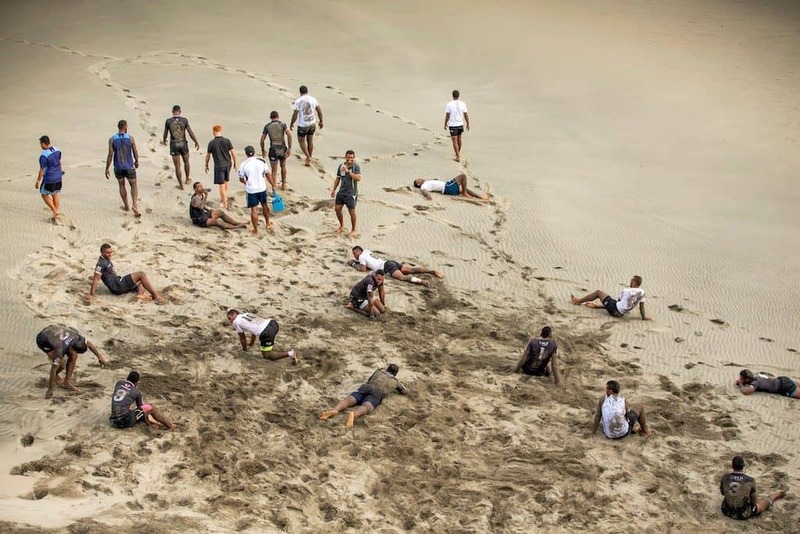 So they might be on a really uneven piece of ground with a plastic bottle filled with sand, barefoot, so they get this amazing coordination and game understanding because they’re playing in these really unstructured, crazy chaotic games in the morning and the evening in the villages where they get great awareness. So it’s not just one thing it’s a number of things. TM: You witnessed some seriously unhealthy eating from your players at the start, there was the tower of pain au chocolats with a fried egg on top, did you have to educate a lot after seeing that? BR: Of course you do, because you don’t know what you don’t know and in third world countries the cheapest foods are the ones with the highest sugar content. And again that no tomorrow, it’s what’s available cause it might not be there tomorrow. I had both ends of the scale when they were eating they were eating really badly and too much, but often they’d come into camp having not eaten for two days because they didn’t have food in the village and their families couldn’t afford any. So I had opposite ends of the spectrum, it was about education and slowly just changing their diet. When they realised they had more energy and they looked good, they could train harder and be winning more games, they connected to that and they bought into it. By the time they got to the Olympics, they were sensational with their diets. TM: Given the way you felt when you parted ways with England, how good did you feel when you got that success with Fiji? BR: Yeah it did. I’ve always said from the time I started coaching that coaches should be in the shadows and the players should be in the light. It’s about making yourself redundant. We don’t try and pretend to construct some kind of situation where the players take control and the coach steps back, you just allow them to be autonomous. So when we got to the Olympics, hand on heart I could have stepped on the field in the final and I could have gone and sat in the crowd and had a pint with the supporters and the scoreline would have been exactly the same. That was when I knew we’d got a group together that was perfect and you don’t get that often in your career where you have that sweet spot and we were lucky it came in those three days in the Olympics. TM: Would you ever consider coaching in the 15 man form of the game? BR: Yeah, a hundred per cent, it’s where I came from. I initially thought when I went to the England Sevens that I’d do a year, then I was supposed to swap across to one of the England 15 teams, but I just loved sevens so I stayed there. I will, I just want to be based in London for a bit and there aren’t that many options if I want to do that and I’m doing other things and enjoying them, but I’ll go back to 15s at some point. BR: It’s not easy. Eddie works very hard but he’s at a point where he has to change things, loosen things up and allow people to express themselves a little bit because it didn’t look like the players were enjoying themselves. Hopefully, he’s learned a huge amount about everyone and the players have learned a huge amount about Eddie and they can have a really strong 18-months. It’s been a very difficult period for him and I hope he’s adjusted his coaching and that the players have adjusted to Eddie as well and he can get the best out of them. I know a lot of those boys from age groups growing up and they’re very, very talented, they just need a little bit more freedom on the field. TM: Is that one of the keys? We’ve seen it recently with Gareth Southgate’s management style keeping everyone relaxed and giving them some freedom. Is it important for the players to enjoy themselves? BR: I’d say it’s right up there at the top. If you ever go on the field feeling stressed, feeling anxious then there’s no way you’re going to bring out the best of you. You look at Southgate, it wasn’t too long ago that he changed his formation. He had the balls to say we’re going to play 3-5-2 now. He changed that and you can also see how relaxed the team are based on how he is. Unfortunately, we saw the complete opposite in South Africa there were a couple of occasions where players who would never steam off after an interview or would look angry after games were doing that because the pressure had pushed them down. When you’ve got a good environment the pressure lifts you up onto peoples shoulders and that’s what happened with the England football team, the opposite of what happened in South Africa with the rugby team. The good news is, they’ve got time to reverse that. BR: I think so yeah. If you think of it in cricketing terms, you’ve got 15 a side Test Match, rugby is like your five day Test, sevens are like a one-day international and they’ll probably be another format of the game that’ll be similar to your T-20 type stuff. 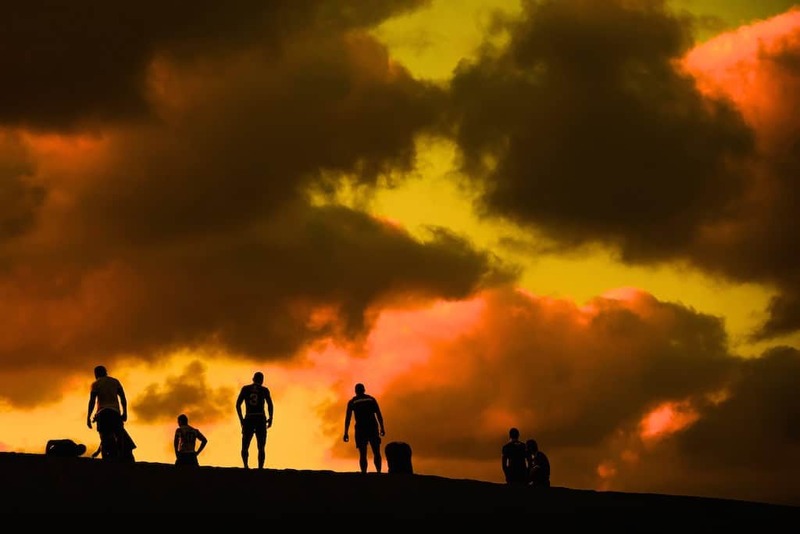 Sevens is a great vehicle at the moment but in the tournaments around the world clearly it’s just a little bit too long, the days are ten hours long, they just need to cut everything down. There’s a tournament in San Fransisco in a couple of weeks that’s just a straight knockout and that’s a format I really like. It’s fast, quick, you’re going to get lots of different winners if they keep doing that at World Series level. It’s closer to what people want these days, bitesize chunks, they don’t want long drawn out days of sport. TM: We can’t finish the interview without asking how it feels to be the first non-Fijian chief? BR: (laughs) My last two days in Fiji were as surreal as you can possibly get. I was chasing women down a field in a village to try and take a whale’s tooth off them. And then on the last day that I left from the airport, they shut the airport and the entire staff formed a choir and sang a farewell song to say goodbye to me, which hasn’t happened at Heathrow Terminal 5 yet. That was amazing. When Fijians like you they really like you and they shower you with things, It’s always going to be somewhere I’ll go back to. The film (of the book) looks like it’s going to go forward with a charity alongside it so it will allow other islanders access to courses and do degrees and various other things as well. I’ll have this relationship for life now. TM: What’s your enduring memory of your time coaching in Fiji? 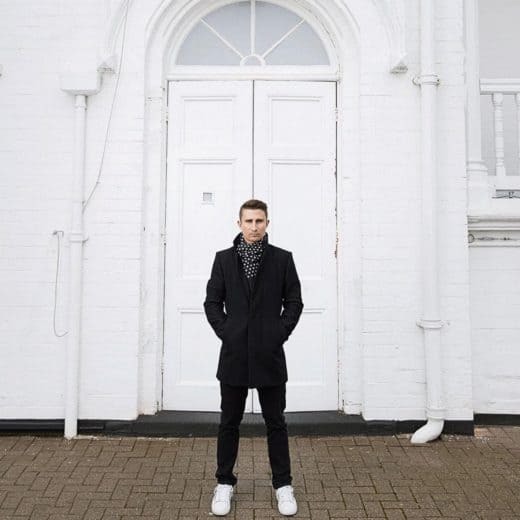 BR: The number one thing for me is reminding myself that we’re very lucky to have been born into where we’ve been born and to be grateful for the simple things, for family and friends, health and wellbeing. Fiji gave me that and I have to constantly remind myself when I’m back in London. It was at a time when I absolutely needed it, they came as a Fijian ambulance to rescue me in that respect. I’m grateful for all the people. 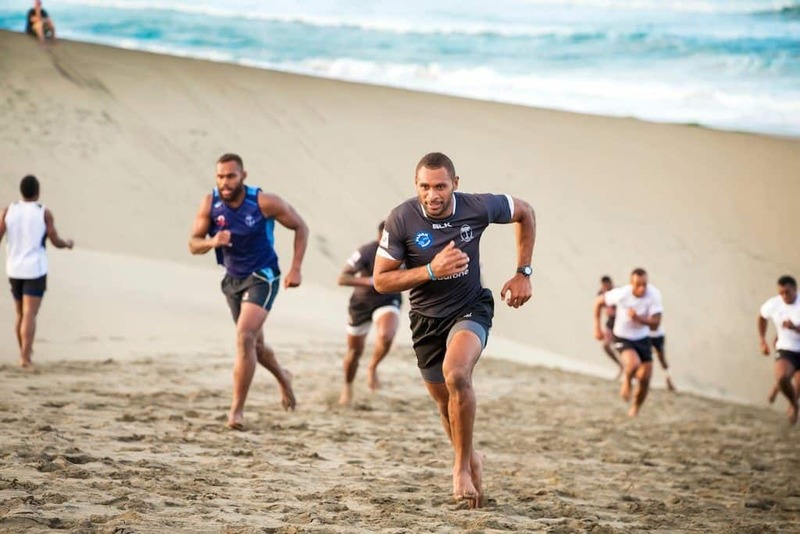 Sevens Heaven, The Beautiful Chaos of Fiji’s Olympic Dream by Ben Ryan, is out now.